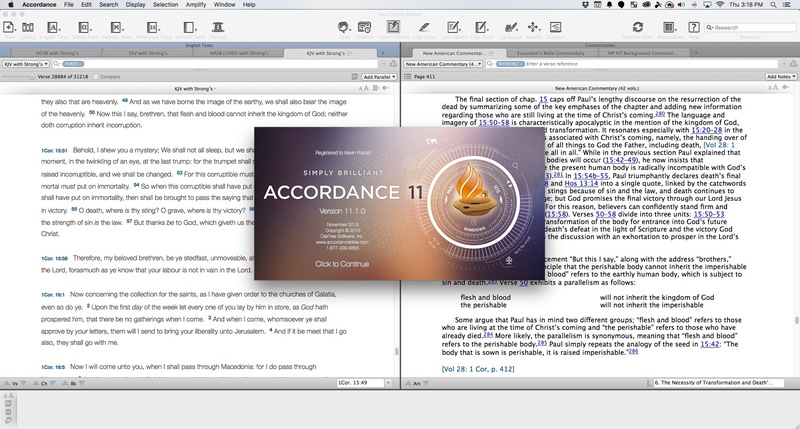 Accordance users will recognize that Dr. J. isn’t a basketball player from Philadelphia, but the guy who taught them most of what they know about Accordance Bible Software. He joined us to show off the Accordance 11.1 update. Learn more about them at the Accordance blog which also links to a more detailed post about the new features listed above and more.